Each of the more than 100 designs and variations has a unique and healing story. Enjoy exploring! StoneCircles (Earth) are celebrations of nourishment, support, and beauty generously bestowed by Mother Earth. When we wear StoneCircles designs, we each become a ‘bead’ that helps form a necklace surrounding Mother Earth! Celestial Rays (Sun) are 55 – 65″ lariats uniquely designed as waves of energy with repeating ordered and random patterns. 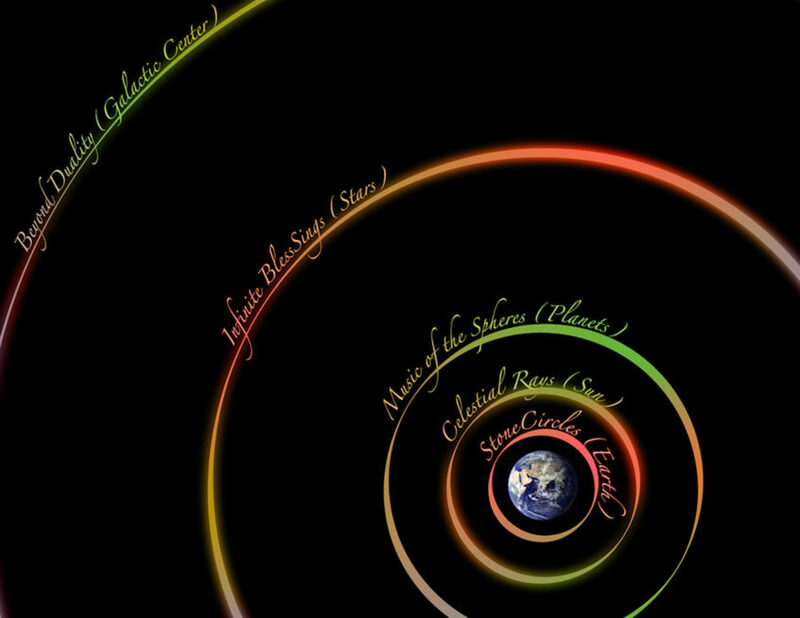 Music of the Spheres (Planets) is an ancient concept describing movements of celestial bodies – the Sun, Moon, and Planets — as a form of music. Infinite BlessSings (Stars) are geometrically designed to open us to the possibility of what we may not currently perceive. Other Healing Stones Designs include stones for expectant parents, children, and teens as well as wearable astrology, commissioned designs, and more. All stones photos and graphics by Barbara. The StoneCircles and Celestial Rays are juxtaposed on public domain images. Since all of the pieces are handmade, there may be variations in the stones’ colors, sizes, and shapes.